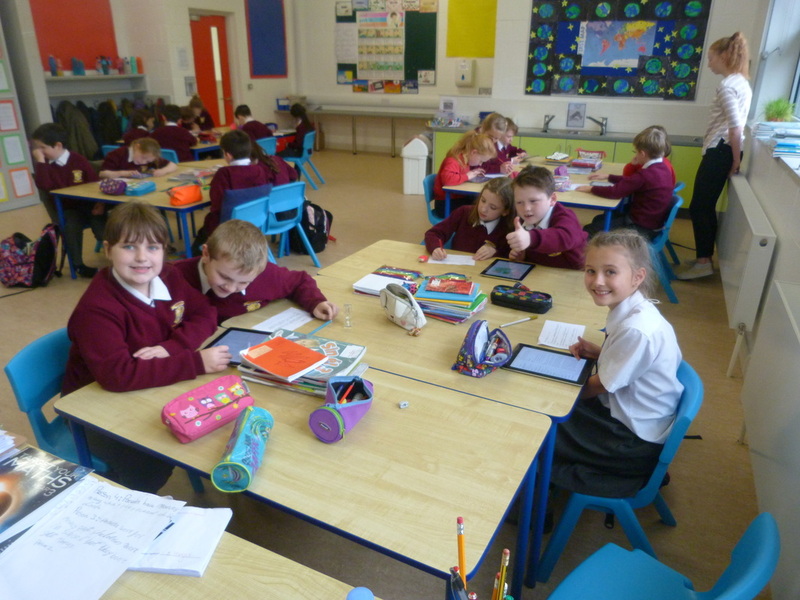 Over the past number of weeks, 3rd class have been working hard in Science class! We've been studying plants, and think we have discovered what the most important things are for a plant to grow healthily. 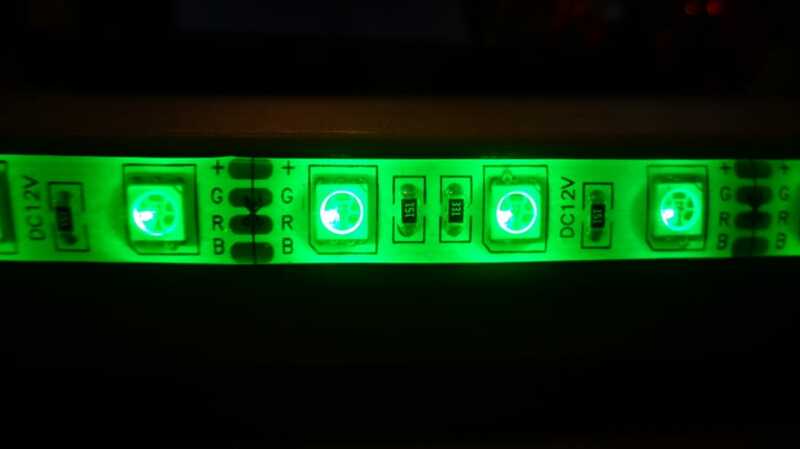 The plant on the left, plant C - Has received no light. It has grown a bit but doesn't look very good. The plant in the middle A - Has received water, light and heat. Its grown to a height of 15 cm and looks very healthy. The plant further over, plant B - It hasn't grown at all and weighs almost nothing! The plant on the right, plant D - Has received no heat. It looks healthy but has only grown 7 cm. Our scientists in 3rd class think that plants need water, light and heat to be healthy. Do you think that they are right? The above is a sample of the newspaper writing that we have been doing as a class. We decided to team write a story about some pigs escaping from a farmer. We've tried to add some humour and funny ideas. We hope you like it. We've studied several newspaper articles from lots of Irish newspapers and have decided that the rules below are what reporters need to follow to write a good article. Do you agree? Do you think newspapers follow these rules? 1. The article should explain Who, What, Where, Why and When. 2. The article should be full of facts to let the reader make up their own mind. 3. The reporter should never give their own opinion. 4. The reporter should use quotes to help give more information and add the opinion of those involved in the story. What do you think of our rules? We think that they're good but welcome suggestions. This week in 3rd class we have been experimenting with Solar panels (You can see one below!). A solar panel is a device which turns the Suns light into electricity. We have been using fans to see how much energy the solar panel is producing. When the sun hits the solar panel electricity travels along the wires to a fan. When the sun is powerful enough the fan begins to spin like in the video below! In the video, the solar panel is making 3.3 volts! That's as much as 2 AA batteries! This is because it is a lovely sunny day. However, 3rd class have discovered one problem with solar energy! It only works when the sun is out! In the morning or evening when no sunlight gets to the window in our class we get no energy! On a cloudy day our panel only makes 0.38 volts, not even enough to power a clock! 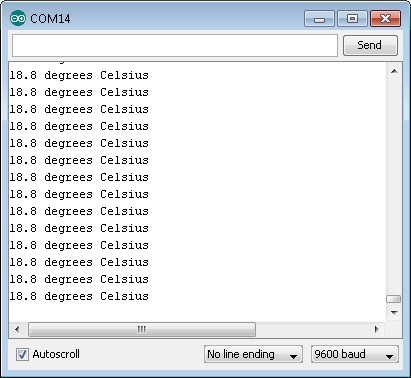 We have recorded how much electricity our solar panel makes over the entire day. You can see in the bar chart below that we get most of our energy in the middle of the day. So third class are asking for advice! What else can we power with our solar panel? What could we do to make it more useful? What needs a lot of power in the middle of the day? As parts of our Maths class we will be practicing out times tables from x2 up to x12. Remember that you don't know the fully unless you can give the answer in less than 5 seconds. Games can be a fun way to learn multiplication too. Have a look at the "Maths games" under the "Fun Zone" tab on the main page. Remember to always as your parents permission before going on line. 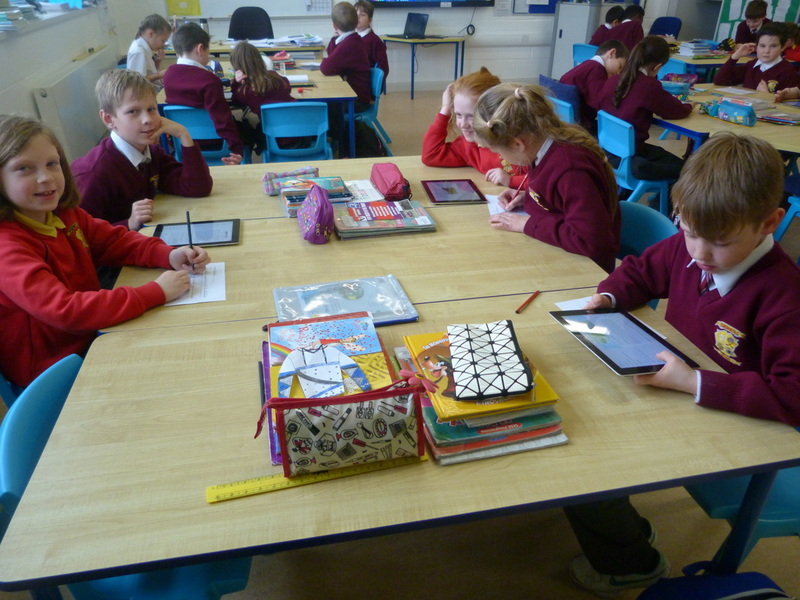 We have been using our new school ipads to do some research this week. 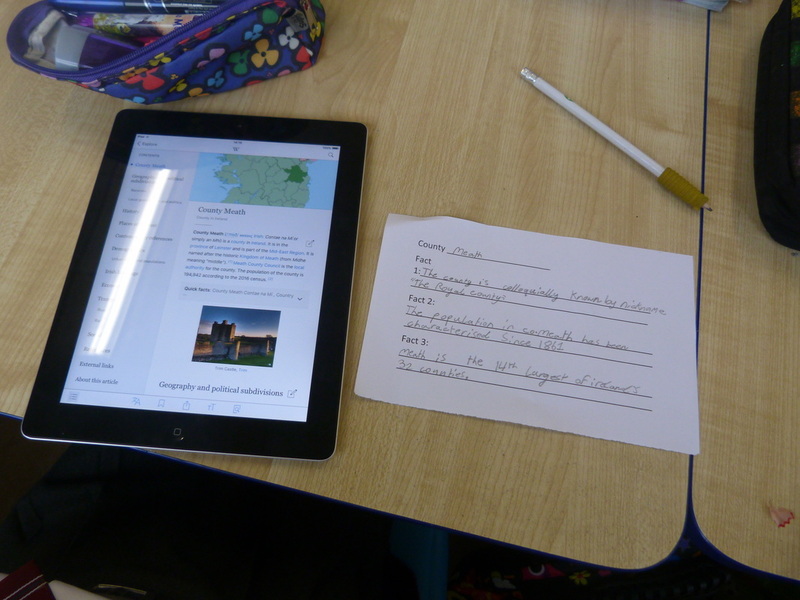 Using these amazing devices we researched every County in Ireland! We will use this information to make a fact file on our wall. 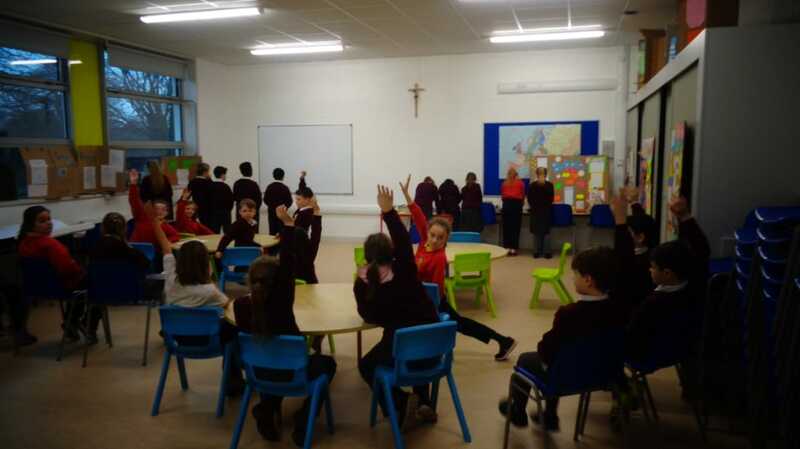 Members of the Road Safety Authority came to O'Growney National School this week. 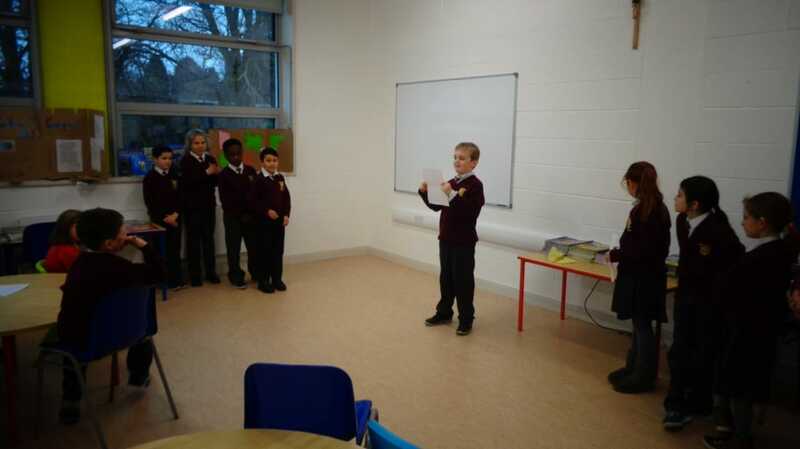 3rd class were tested to see how safe they could be an a model village. If they were all very safe they would get a licence. Click to video to see who managed to get one! 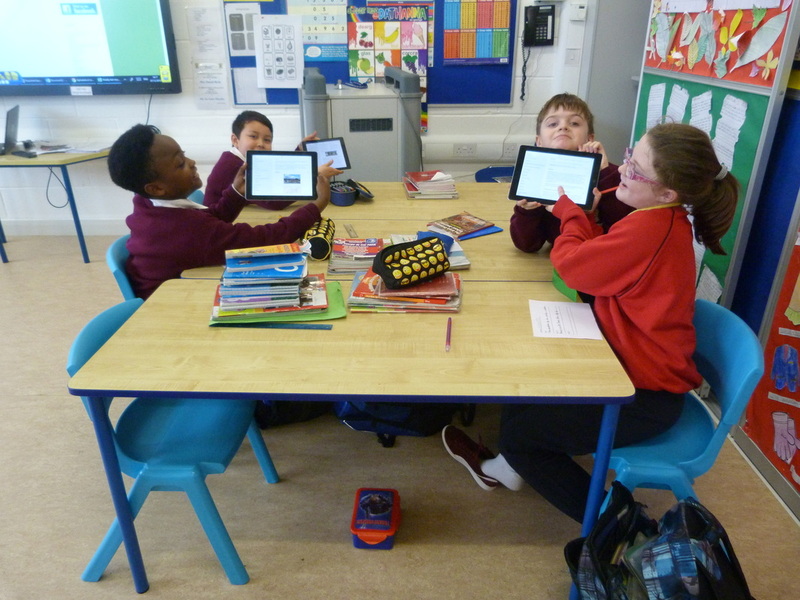 3rd class have been playing with the schools Arduino Uno (You can see one above). 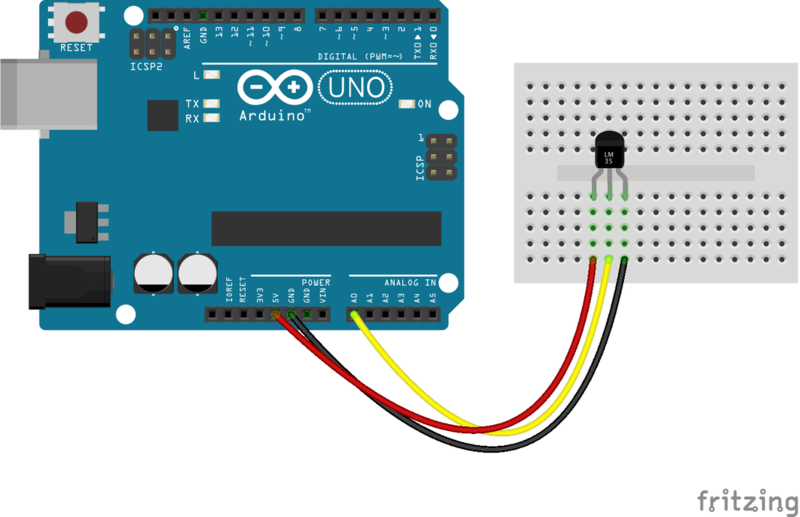 An Arduino is a tiny computer and you can write simple programs for, and get to do almost anything! 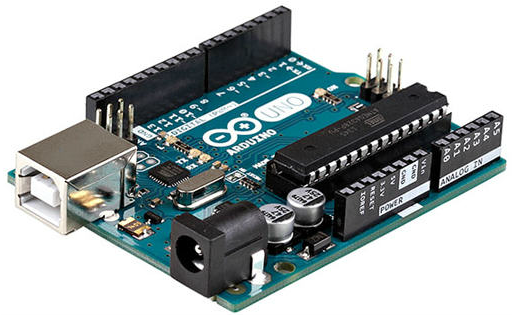 People all around the world use the Arduino to power security systems, gates, locks, robots, cameras, washing machines, everything! 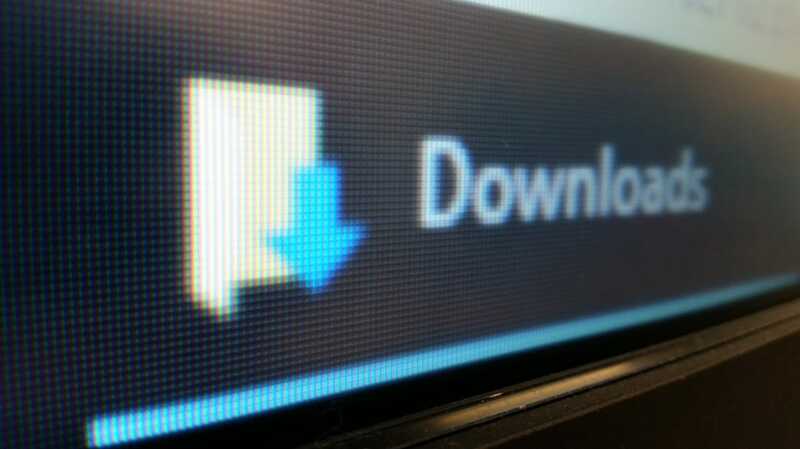 It costs about €15 and there are many good websites to help you learn how to use it. We had a class discussion and decided that we could use the arduino to track the termperature in our classroom super accurately! 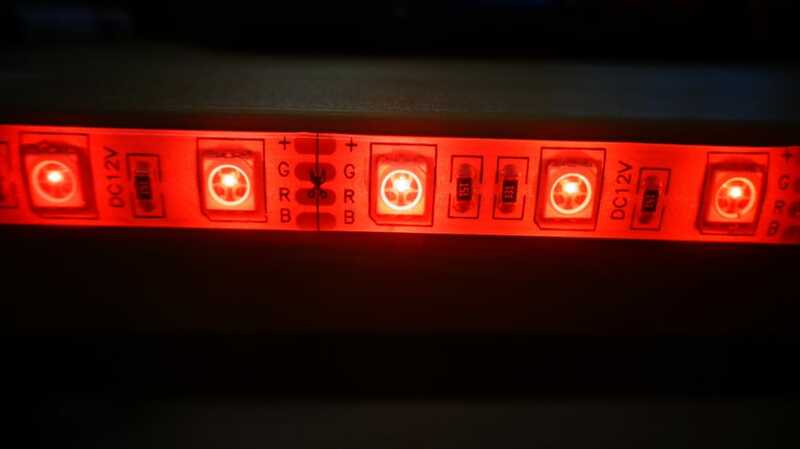 We used a tiny chip called a LM35 and plugged it into the Arduino. We wrote some code using some help from the website above and tada! We were getting live results! Next we got on with our days learning and came back to check the results in the afternoon. As you can see from the chart above, our classroom is between 19 degrees and 22 degrees all day. 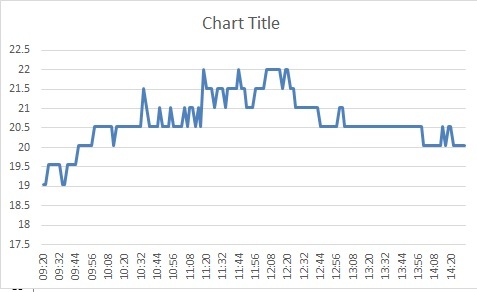 3rd class noticed that there is a big jump in temperature between 9:20 and 10:30am. Why do you think that is? So, what do you think we should make next? What could we measure? Sunlight? Rain? 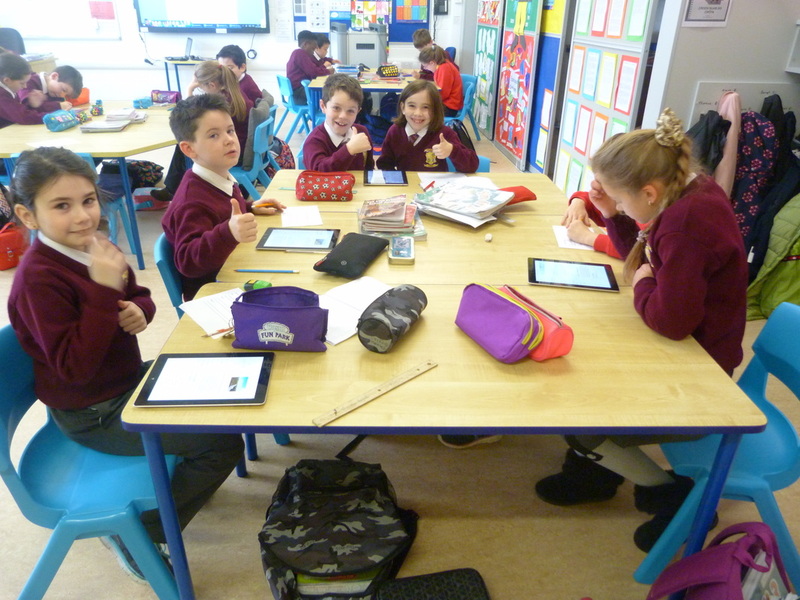 Its been an exciting week in 3rd class! We've been studying Energy and have noticed something new! We have been looking at converting chemical energy into electical energy. 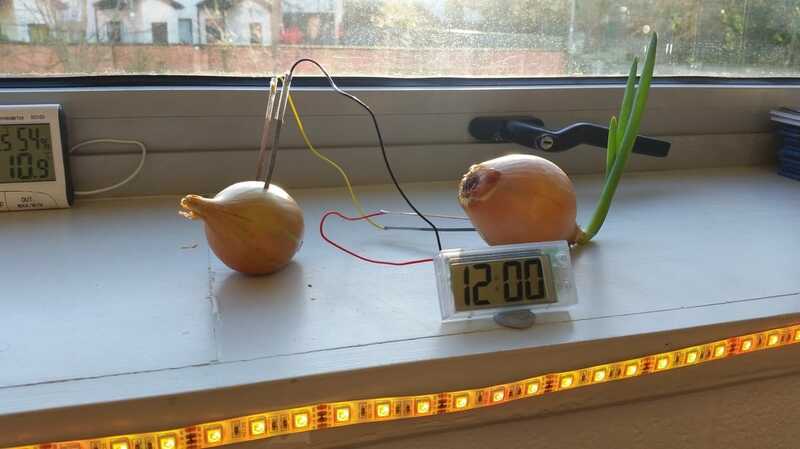 In our experiment above, the chemical energy is found in the Onions and the clock is using this energy as electrical energy. In the Onions, we have 2 different metals sticking into the onions, one is Copper and one is Zinc. The chemical in the onions react with these metals and a tiny amount of electricity flows. This tiny amount is enough to power our mini-clock! This is almost exactly how a normal AA battery works. Simple when you know how it works! The green shoot is growing upwards and towards the window because of Phototropism. This is a mechanism plants use to make sure they're growing in the right direction! We've been decorating the classroom this week and a funny question came up? How do christmas lights change colour? When your lights switch from one light to another they simple mix the 3 colours together exactly like you would when you mix paint! You can really see the mixing here between Blue and Green to make aquamarine. 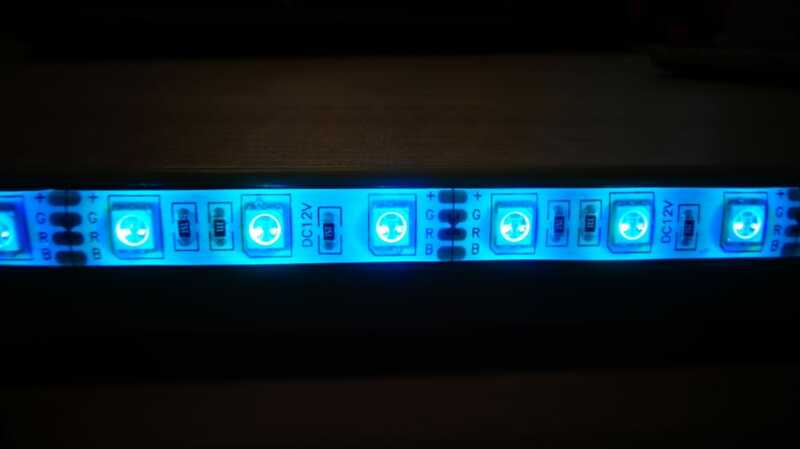 This is the exact same way modern screens in your phone or tablet work, the only differencee is that their LEDs are very small and very close together! You can see an example below on the whiteboard in 3rd class. 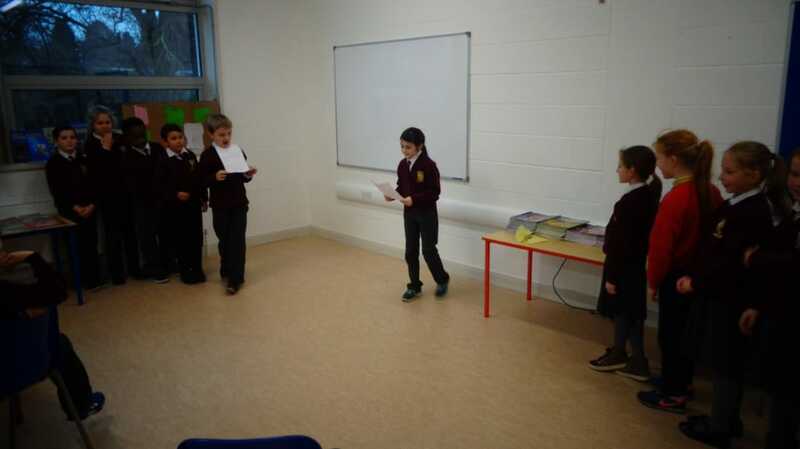 3rd class had a debate this week. The motion was "Christamas has become too focused on presents". We had serveral teams who were "for" and "against" the motion. The debate was conducted very smoothly with all debaters proving themselves to be able to listen to one another respectfully. 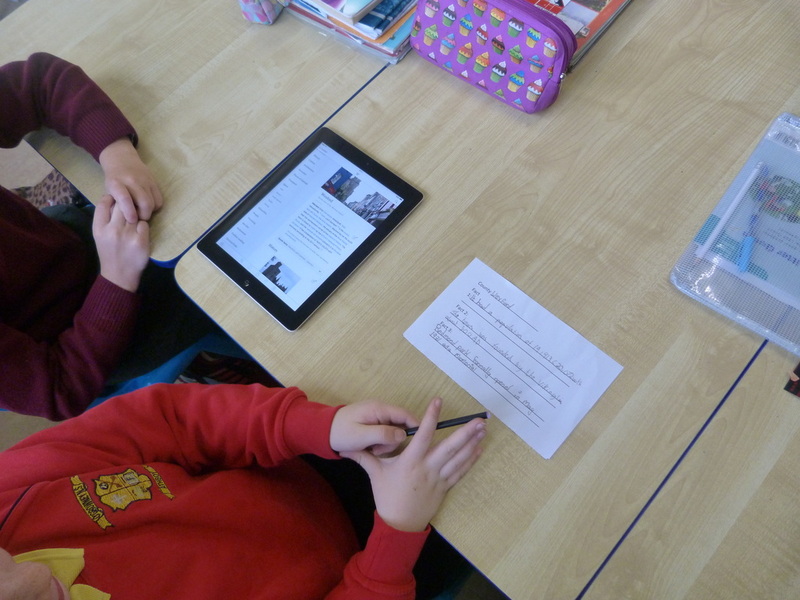 Our audience also had the chance to ask questions and get clarifications to some of the statements that were made. Here our "for" team make some points. Here our "against" team make some counter arguments. Our audience then voted for the team which they thought made the best argument. Note: Please excuse the pictures. Mr Keegan was getting used to the new camera.